Artisan Activist Audubon Show - BrainstormOverload - Small design studio. Big ideas. 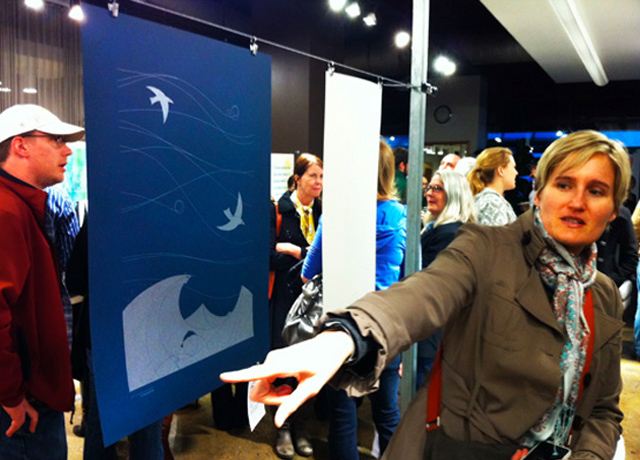 The Artisan Activist Poster Show (sponsored by AIGA, Aveda and Neenah Paper) featured posters by 45 designers. 50% of sales went to benefit the Audubon Society’s Mississippi River Project. Prints are still available. 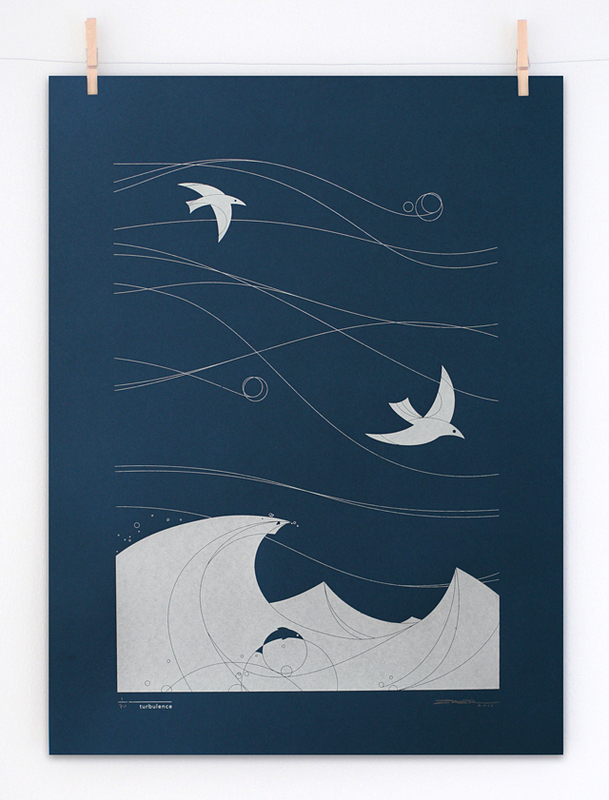 “Turbulence” was screen printed in a limited edition of 90 posters. 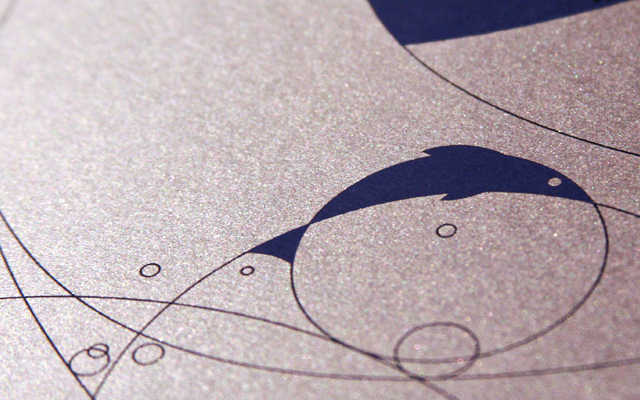 Silver metallic ink on 100lb. 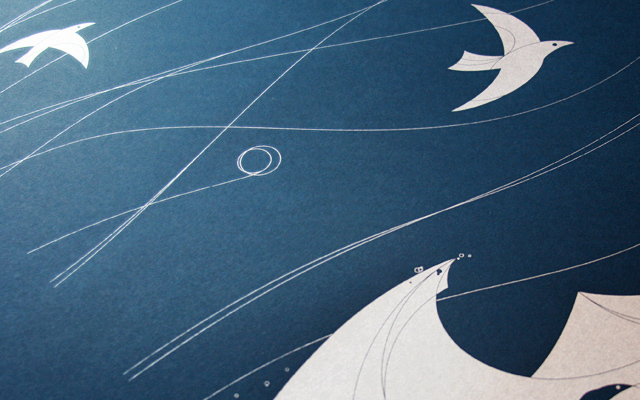 cover Nighshift Blue from French Paper Company makes a striking combination that changes depending on the lighting. Size is 19×25 inches. Held at the Aveda Institute in North Minneapolis the show was one night only so there are posters left which are for sale in our shop. More show info on our blog .